There's always been something painful about a Bright Eyes album. The anxious creak in the voice, the curdled cries. Even if you loved the music, there was something in it that hurt—indeed, maybe the hurt was the best part. 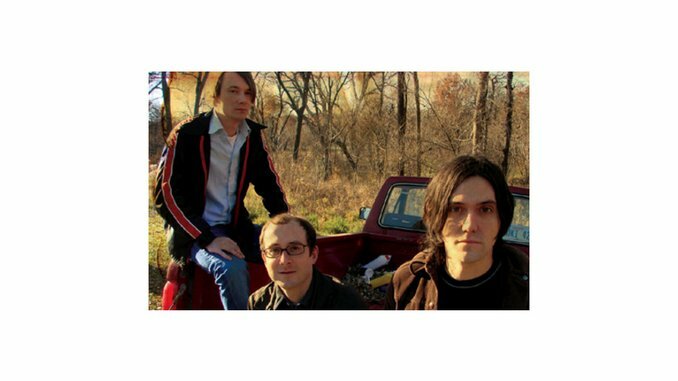 One of the most interesting things about Conor Oberst, the Omaha native behind Bright Eyes, was how he always threatened to break down, both vocally and in real life, where his prodigious songwriting talents were matched by an ability to aim a rifle at his own foot. So the most surprising thing about his latest album, Cassadaga, is how beautiful it is. Not beautiful in the way Bright Eyes has long been known—sharply observed lyrics delivered in a seasick croon—but beautiful in a sweeping, orchestral way. As ambitious as this album is, there's a surprising lack of anguish on display. It's like the strumming poet-romantic of I'm Wide Awake, It's Morning finally met the dark musical prodigy of Digital Ash in a Digital Urn and shook off the hangover. Recorded and mixed by longtime collaborator Mike Mogis, with Nate Walcott and M. Ward playing several of the myriad instruments, Cassadaga is the first album Oberst has recorded outside his tiny Nebraska studio, and, sonically, it has the adventurousness of a kid playing with new toys. There's violin, cellos, banjo, horns and a hefty dose of lap steel. The first track, "Clairaudients (Kill or Be Killed)," begins with a whir of found audio, and a distorted orchestra crescendos into what is almost a THX moment, which is fitting; the album itself is cinematic, like a cross-country trip with a camera perched out the window, catching the world outside as it blurs past—from California on through the Midwest and into the cacophony of Times Square. Cassadaga appears to have no real theme except its wandering nature—it's a mishmash of musical genres as much as locales. The second track, "Four Winds," is a slick Nashville toe-tapper that could charm any dance hall. (Though leave it to Oberst to have people two-stepping to the phrase "Satan's gone / The whore of Babylon.") But not all of the sonic experiments work: "Coat Check Dream Song," with its snatches of Indian chants and vampire double vocals, feels like an unfinished doodle—out of place on such a polished album. But a song like "Make a Plan to Love Me" sounds like a girl-group classic piped in from some spectral radio signal circa 1955. "Whenever I hear beautiful music, it's always from another time," Oberst sings, and Cassadaga seems like his own musical DeLorean—a collection of sounds, moods and shadowy stories that, side-by-side feel perfectly at home. As Oberst sings toward album's end, "Everything it must belong somewhere / I know that now / That's why I'm staying here."